A HIDDEN GEM investment Model Leaseback opportunity! Minutes to uptown at dynamic Cramer’s Pond in Plaza Midwood, Arthur Rutenberg’s’ coveted “Davidson” furnished Model Home NOW for sale w/leaseback to the builder at monthly rate. Leaseback is guaranteed 18 month term w/additional 6 mo. option. This professionally decorated model includes all home furnishings & outdoor living features as shown. Whether you’re a savvy investor or homeowner not quite ready to move, this home is perfect! 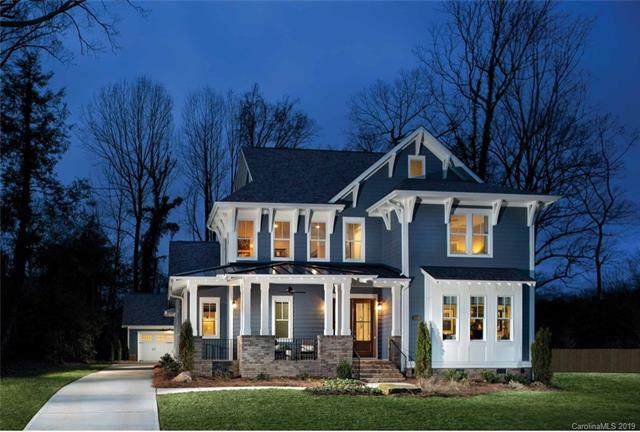 Our custom home blends traditional Craftsman style architecture w/today’s sophisticated design elements. At 3600SF HLA, stunning main level master suite w/vaulted accent beams offers an open gourmet kitchen w/Thermador appliances, hidden pantry w/fridge, farmhouse sink, vaulted bonus rm w/wet bar. Built w/the finest brands & craftsmanship-Anderson windows, disappearing pocket sliding doors open to outdoor living area w/ fireplace & outside kitchen, trek deck, all the details for the most discerning buyer.